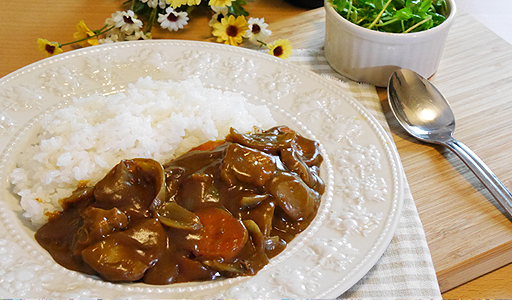 Everybody knows how popular Japanese Curry Rice is and it's the same here in Japan. In fact, I've never heard of anybody not liking it. It's so popular that you can easily find it almost anywhere you go. Of course not all of it is good and a lot of it is mediocre. But good curry rice can be found all over the city. It's also very easy to make it at home and is one of the easiest things to make, especially if you make it like everyone else does...from a box! Yes that's right. Most Japanese would not go through the trouble of making curry from scratch because the boxed roux that's available is just so good it's hard to beat them. Homemade from scratch curry just doesn't compare unless you're a top chef or something. Of course we sometimes make curry from scratch and it's really good, if I may say so myself. Still we make the boxed kind more often than from scratch because it's just so much easier. Today I want to share with you some tricks that I use to make my boxed curry even better. Remember to do these things and your curry will taste like restaurant quality! Don't forget to watch our video tutorial by clicking here! Subscribe HERE for weekly videos! Follow the directions on the box of your Curry Sauce Mix. The typical ingredients are potatoes, carrots, onions and meat. Here are a few additional tricks I use to make the curry taste even better. 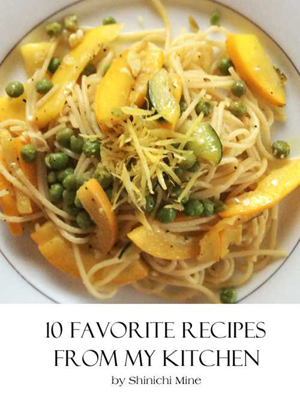 *Saute 1 onion (minced) until transluscent before adding the rest of the ingredients. *Add a little salt and pepper to your meat while cooking. *Serve with steamed rice and enjoy. You can purchase the Vermont Curry online. Yes. This is something I would have out of the box. I ordered some on Amazon, and it's so delicious! That's awesome Rolf. I'm so glad you liked the curry. :) Nice to see you here too my friend.